This handcrafted stationary bar stool has a minimalism design that is versatile and can adapt to any existing décor. It has a simple, natural, and functional form and with its Japanese look will bring elegance and harmony to any interior. 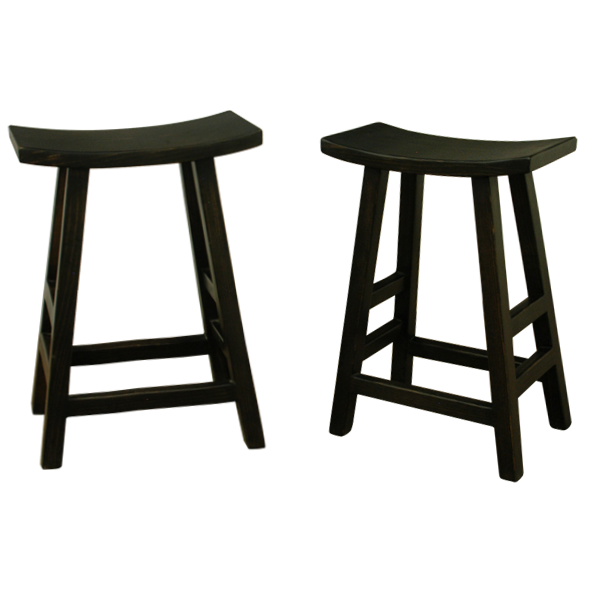 This custom bar stool is designed with a concave rectangular top raised on beautifully finished splayed legs with crossbars at different highs and paired on each side. Made with the best wood available, it is both durable and comfortable. The bar stool is 100% customizable.